The perfect location near the Museum Campus, McCormick Place, Printer’s Row and Prairie Avenue District in Chicago. 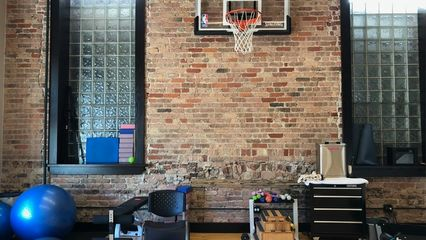 React Physical Therapy South Loop offers a full range of physical therapy services. Rob Hodges received his bachelor’s degree in biology and minored in chemistry at Lake Forest College. He received his Doctorate in Physical Therapy from Midwestern University in Glendale, Arizona. Rob values a hands-on approach and emphasizing patient participation. He believes a patient should be well educated on their injury and the rehabilitation process in order to get the most out of treatment. Rob spent his first year out of PT school under the guidance of his first mentor, where he was able to skillfully hone his manual therapeutic touch. He is also certified in dry needling. Rob believes that health and wellness are the foundation of a fulfilling life. Rob is a practicing vegan and his fitness interests include extreme calisthenics, distance running, cycling, capoeira, yoga, and primal human movement. Being no stranger to injury after a collegiate football and rugby career, Rob understands the desire to get back in the game. He is ready to get your body stronger than ever.